A way to make your gift basket look extra festive is by using Christmassy wrappings. Try and include red tissue paper or even a merry Christmas design like the one featured. 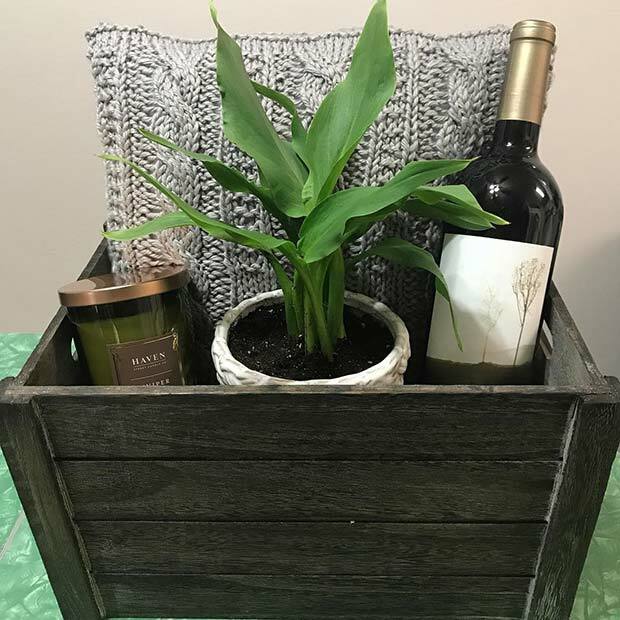 The items in this gift are perfect for anyone who loves gardening, but you could recreate something like this for any theme. If you liked the pamper gift idea from earlier in the post, then you may like our next pick to. 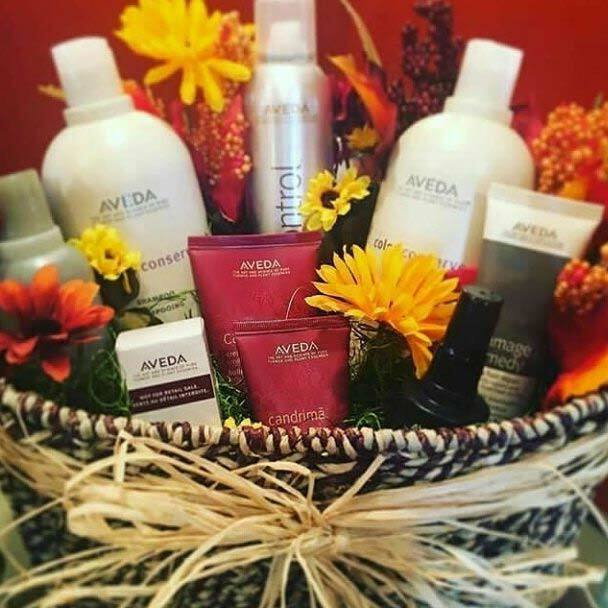 This pamper basket features cozy slippers and lots of other beauty items. The items included have a purple lavender theme, but you could recreate this in another color. Looking for a gift for someone who likes scented things. Then this idea could be for you. 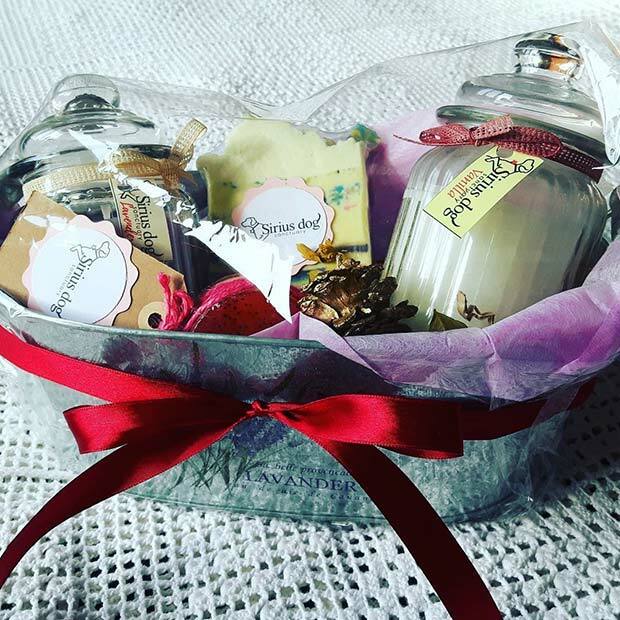 This gift basket features a variety of candles and soaps. You could recreate this with the persons favourite smells and colors. Maybe even make a smaller basket to with just one soap and one candle. Know someone who loves tea? Then a basket like this would be perfect for them. 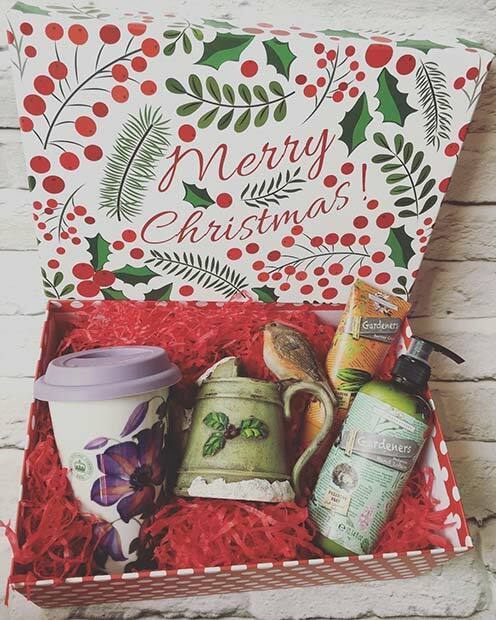 It features a variety of teas, mugs and tea bag pot. As well as a selection of biscuits and a biscuit cutter so they can bake treats themselves. You could recreate this with the persons favourite kind of tea and biscuits. Maybe you could even create a herbal tea basket. 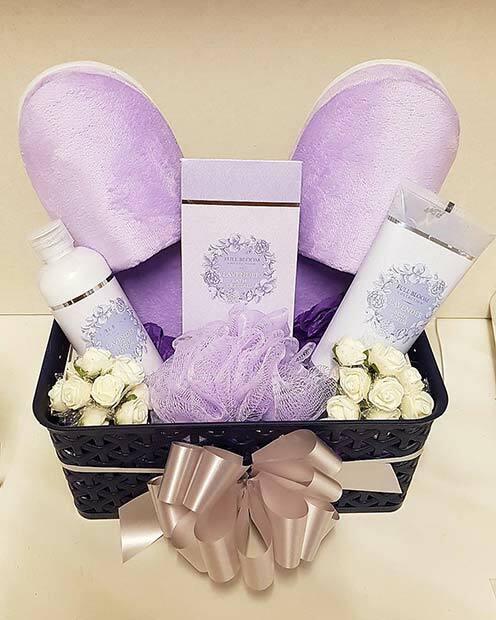 Our next basket is perfect for a lady who wants to be pampered this Christmas. 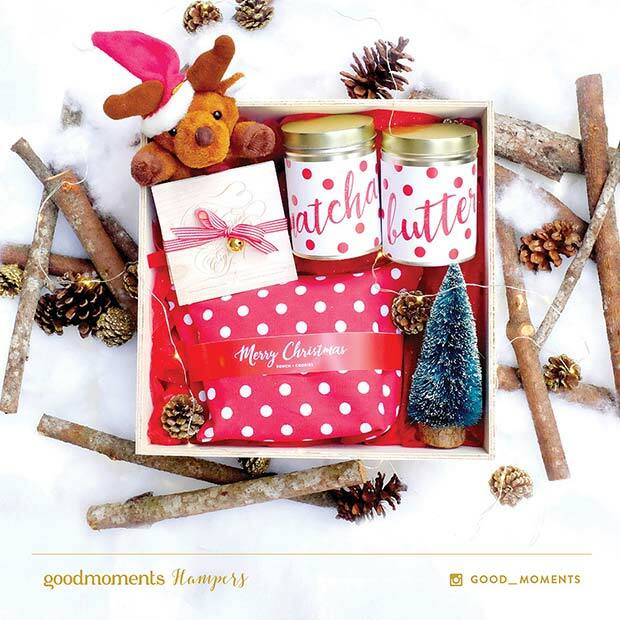 It features honey, chocolates, a candle and a cute cup. Any women would love to receive something like this. To recreate the basket, you could add any bits you like. For the guys you could make something similar by adding in their favourite treats. 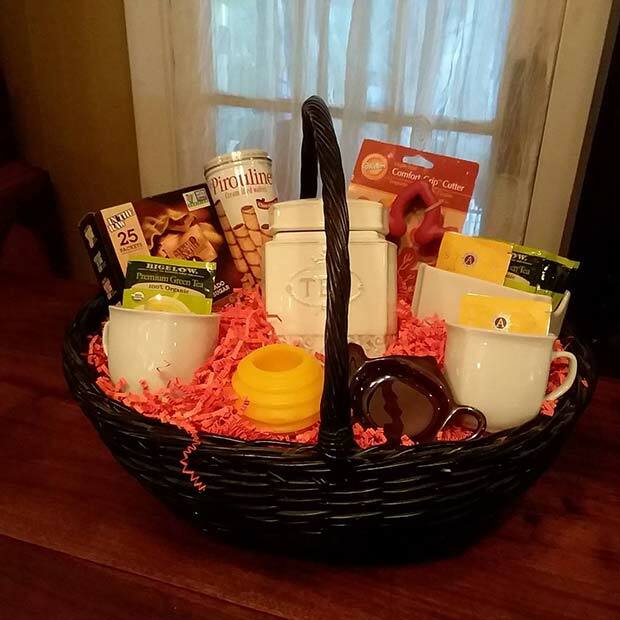 Next, we have a chic and classy gift basket idea. It features wine and some posh festive treats. Something like this would be perfect for someone who loves food and drink. To recreate this for someone just add in their favourite wine and some unique Christmassy treats. Put the items in a basket or box. 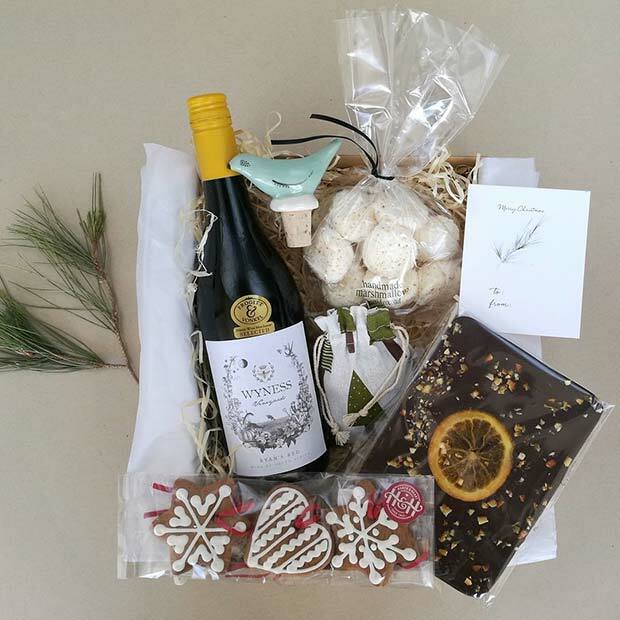 Our next basket features all wintery items that are perfect for the festive season. 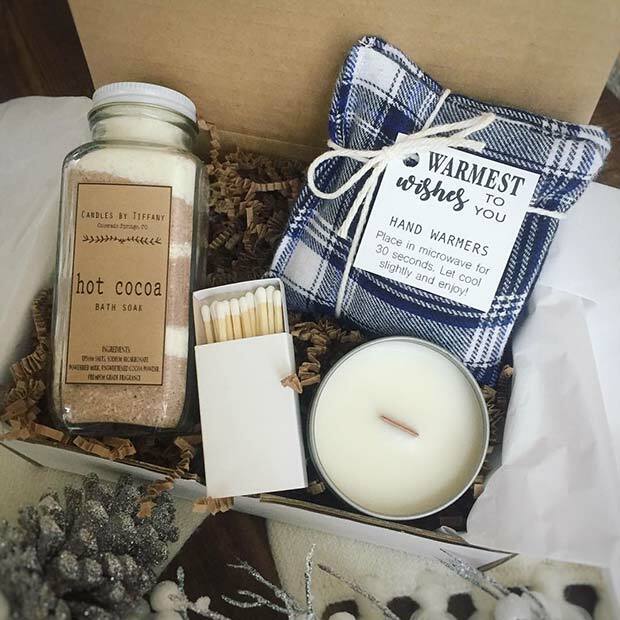 The basket includes a candle, bath soak, hand warmers and some matches for the candle. This is a cute and festive gift that will keep the recipient cozy through the colder weather. 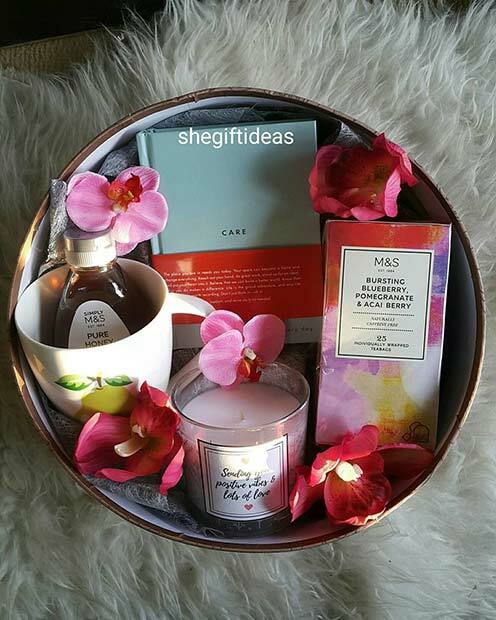 You could recreate this with similar items just in the person’s favourite colors and scents. Next, we have gift basket decorating idea. The basket is full of beauty treats and includes beautiful flowers. Something like this would be perfect for a lady who needs a gorgeous gift this Christmas. You could fill the basket with anything you like. Add any flowers to the basket to. Maybe the person’s favourite flowers or flowers that are festive. If you are looking for a small gift idea, then this could be for you. 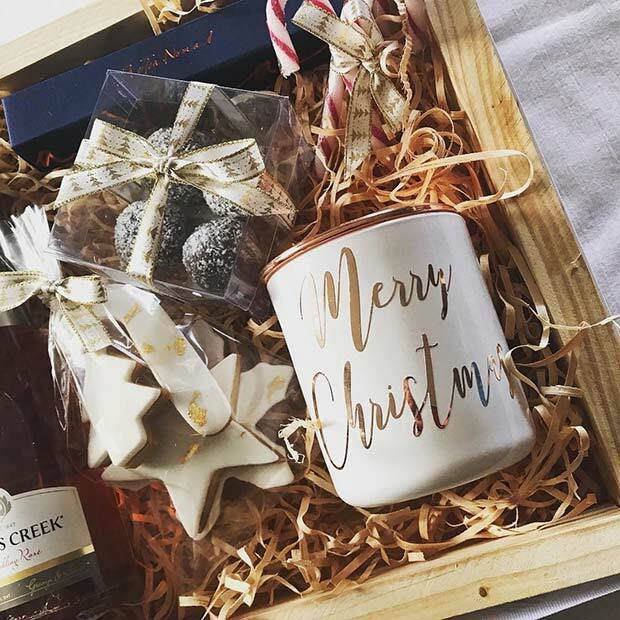 It is a box that features a candle, small bottle of wine and some festive treats. Something like this would be great for a friend or for anyone who you want to give a gift to without being too over the top. Our next basket idea is perfect for anyone who is very festive. The wrappings are all Christmassy and the box is full of Christmas items including a small tree and Rudolph toy. 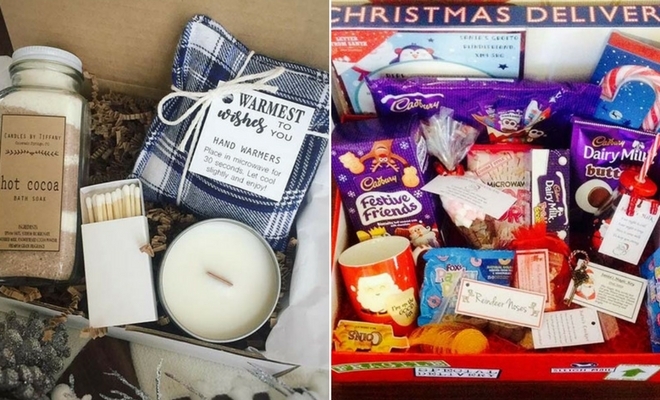 You could recreate a box like this with any Christmassy treats from candy canes to Christmas scented candles. Last on our list is this stylish gift basket idea. This is for the person who doesn’t like anything too Christmassy or too over the top. Just fill a nice basket or box with all their favourite things. You could add in some red gifts to make it look more festive. We hope you have found the perfect Christmas gift basket idea!